The Background: Hmmm, tricky one. 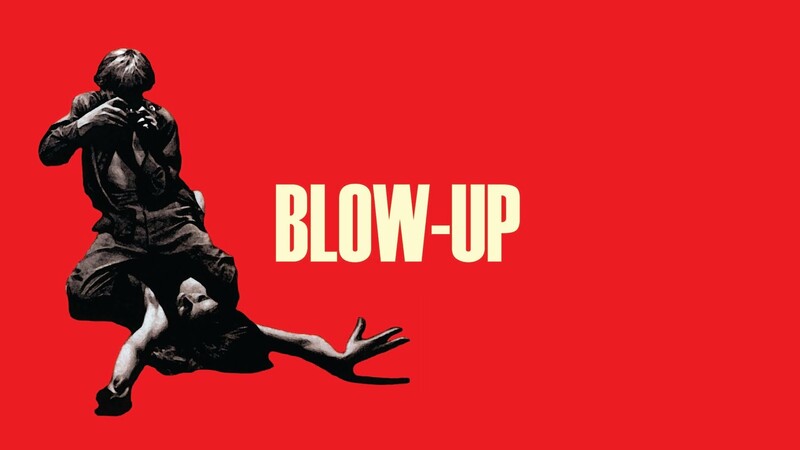 What is Blow-Up actually about? 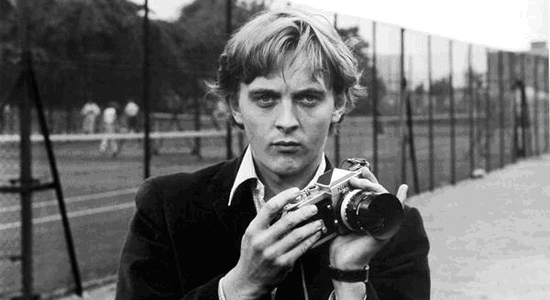 At its most basic level, Blow-Up follows a day or so in the life of a trendy David Bailey type fashion photographer called Thomas (David Hemmings). He drifts listlessly through life until he spies a couple behaving suspiciously in the park. Armed with his camera he snaps the couple from a distance, one of whom is a very young Vanessa Redgrave, before taking the shots home to be developed. It would seem self-defeatist and counterintuitive to suggest that the greatest part of this scene, which resides in a blog about film, is in fact the appearance of 60s rockers The Yardbirds and not anything vaguely cinematic. Realistically though, who is going to have the audacity to relegate Jeff Beck, Jimmy Page and Keith Reif belting out ‘Stroll On’ behind anything as poxy as filmmaking? Certainly not cowardly I, that’s for sure. ‘Stroll On’ is a monumental piece of rock ‘n’ roll with a thunder-cracking riff powerful enough to explode your skull down the middle like a melon when it rattles off your ear drum. 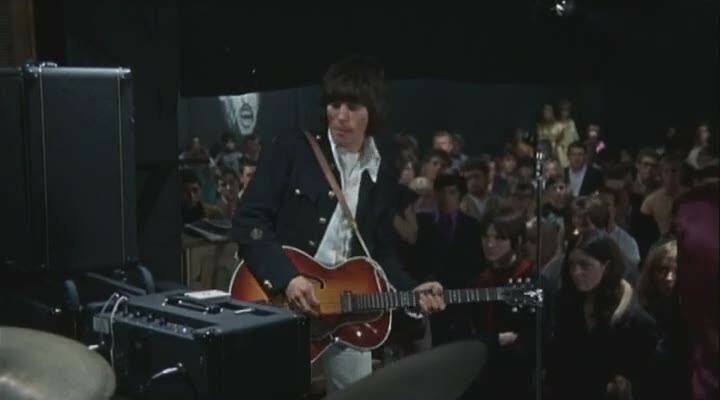 Antonioni had originally wanted The Who to do the scene, hence Jeff Beck’s uncharacteristic guitar smashing episode, but time has proven The Yardbirds to be an inspired replacement. While The Who still amble along in their trusts defiling ‘My Generation’ with every geriatric rendition, The Yardbirds, who disbanded in 1968, remain immortalised as the archetypal slice of sixties Mod rock ‘n’ roll. While The Yardbirds were a big deal at the time, the fact that Beck went on to become one of the great guitarists and Page formed Led Zeppelin makes their cameo all the more special. 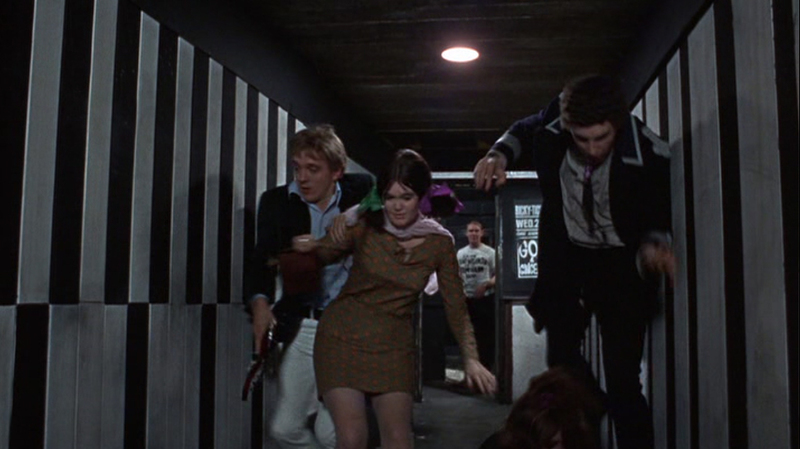 London’s Swinging Sixties was a cool period – Carnaby Street, Twiggy, Mods, psychedelica, Mary Quant, Terrence Stamp, mop topped guitar bands, Michael Caine – and Blow-Up captured the trendy zeitgeist with a nonchalant arrogance epitomised by leading star David Hemmings. The gig sequence opens up like a time capsule of the period. Hemmings is our aloof guide through the bright patterns and flowery shirts of the crowd, but Antonioni’s vision is far from one of a pop culture celebration. Like his earlier alienation trilogy (L’Avventura, La Notte and L’Eclisse), Antonioni prods at a creeping emptiness and disillusionment behind the trendy thrills of Blow-Up. In 1966 the decade was in full carefree swing, but Antonioni was already anticipating the inevitable heady hangover round the corner. Throughout the film the nature of perception and value is examined, once again we see this theme at the fore during the gig. Quite bizarrely the crowd watch on in a catatonic state as Thomas shuffles through them. It’s not until Beck launches the snapped neck of his guitar into the crowd that they awaken. Suddenly they’re transformed into a frenzied moshpit fighting for the discarded memento. Ostensibly the broken piece of guitar is useless, but the fact Beck once owned it instantly instils it with an intangible significance. Thomas successfully seizes the guitar, without ever showing an interest in the band or music, and flees the pursuing crowd. Despite risking life and limb to get the broken guitar he immediately jettisons it once the baying crowd subsides. Thomas only wants the guitar when others desire it, but once they stop pursuing him it loses all value. While the whole moment becomes an abstract explanation of market forces and supply and demand, it’s a classic case of Antonioni exploring the subjectivity of the human experience. Just as the apparent murder in Thomas’ photographs is wholly ambiguous (is it a trick of the light or merely wishful thinking? ), the smashed guitar’s worth changes fluidly with every new gaze. For Antonioni the human eye is no more reliable a witness than that of the camera’s lens. Nothing is as it seems in Antonioni’s world, certainly not in the vacuous upper echelons of society, and Blow-Up revels in the subversion of the glamorous setting. The fashionable and trendy allure of sixties London hides a vapid society where people yearn for purpose in an absurd world. Thomas’ sudden urge to claim the broken guitar is merely another attempt to find a purpose, a pursuit that fills the whole film without ever threatening lasting satisfaction. You could call Antonioni’s outlook unrelentingly nihilistic. His protagonists seldom shake their restless ennui, they normally end their journeys as lost as they were at the start, but for Antonioni the value of life is in the eye of the beholder and the pursuit of meaning. Like Camus’ life analogy of Sisyphus eternally rolling a boulder up a hill, Antonioni champions the journey rather than the end result. Just as Thomas finds no lasting meaning at the gig, or anything else for that matter, we find no resolution or finality in Blow-Up itself. Equally though, when Thomas finds fleeting excitement and drive in the discovery of a murder and the possession of a sought-after guitar, we can find great reward and enjoyment, even if it is brief, in Blow-Up’s meandering mystery of life.